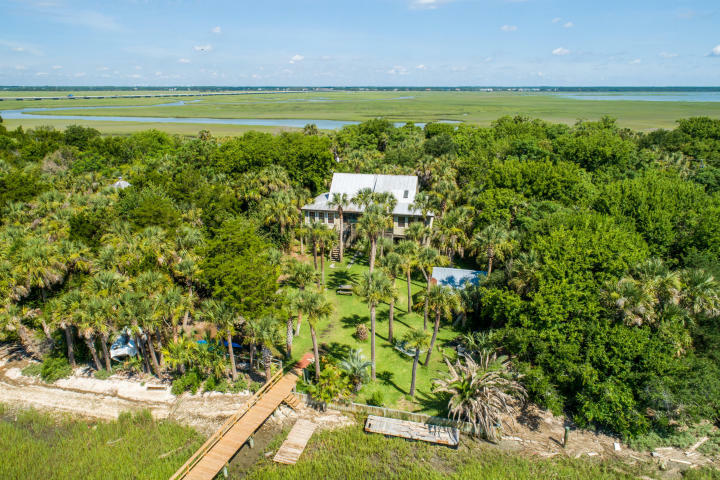 If you are looking for a secluded Lowcountry home then 2407 Captain John Hutt Road is a great find! 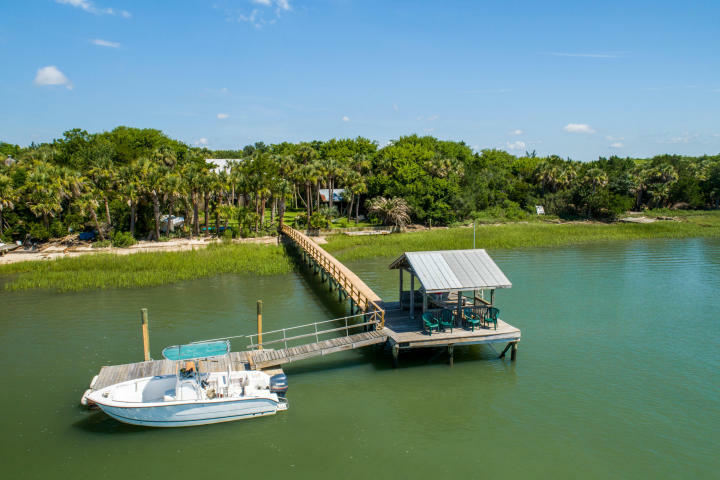 The property is located on one of the highest lots on Goat Island and offers 4 beds, 2 baths, 2,106 square feet. 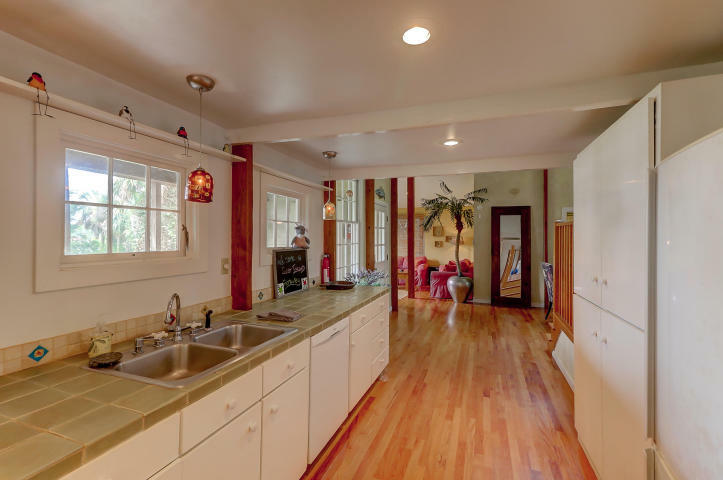 There are extensive updates throughout a sweeping floor plan. 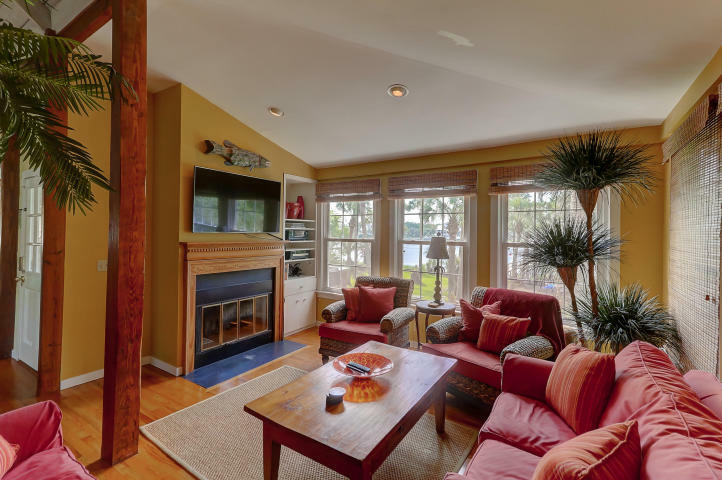 The living room showcases a fireplace with built-in shelves while the dining area offers access to a rear deck as well as the extensive kitchen. Beyond the living space, the kitchen boasts tiled countertops, ample cabinet space, and efficient appliances. The layout is perfect for entertaining and everyday living as it includes tall ceilings, beautiful hardwood floors, and countless windows that bring in an abundant amount of natural light. Also located on the main level are three additional bedrooms. They are well-sized, light-filled and share a dual-vanity bath. 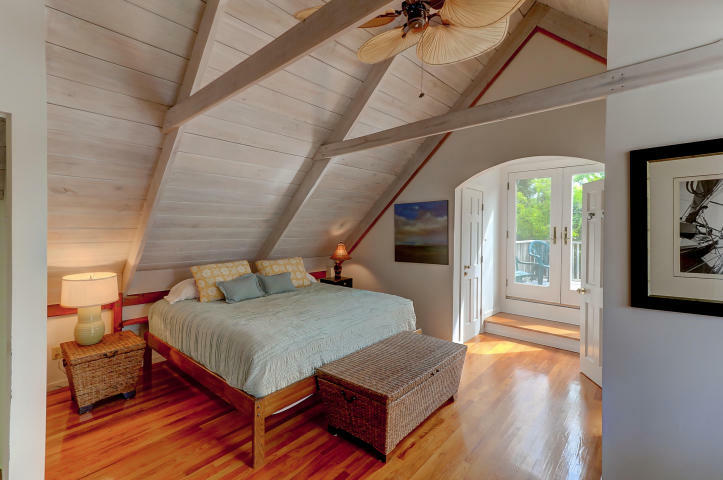 A beautiful master suite is located on the second floor and showcases a nicely finished en-suite, built-in desk nook, and access to a private deck. As for the exterior, 2407 Captain John Hutt Road epitomizes island living as it showcases palm trees and lush vegetation throughout the property and offers excellent outdoor living spaces with a private dock with a covered pierhead, screened gazebo, hammocks, and a screened front porch portraying picturesque water views. 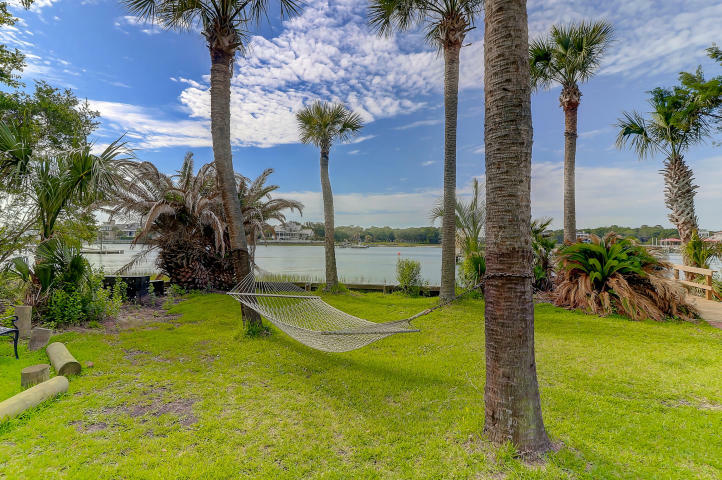 Additional Notes: This island getaway is located on Goat Island (Isle of Palms) which is only accessible by boat and comes fully furnished, so it is completely move-in ready. For more information on this listing or to set up a showing, please contact listing agent Scott Liipfert. Click here to see more Isle of Palms homes for sale.